As a Neuroworks patient you can expect to receive special attention. You will follow an individual path through assessment and diagnosis, to treatment and review, tailored to your needs. Whether you attend with a neurological or musculoskeletal condition we will examine for any underlying neurological dysfunction that may be causing or maintaining your symptoms. Whether you attend for regular chiropractic treatment or for neurological rehabilitation we will add an extra dimension to your care that very few other approaches offer. Below is a summary of what to expect when attending for chiropractic or neurological rehabilitation. Chiropractic is a regulated primary healthcare profession. Chiropractors are very well trained to diagnose, treat, manage and prevent disorders of the musculoskeletal system (bones, joints, and muscles), as well as the effects these disorders can have on the nervous system and general health. Although having a specialist interest in neck and back pain patients also consult us regarding a range of other conditions. When you are assessed your entire wellbeing will be taken into account. On arriving at Neuroworks we ask you to fill in some health history and assessment forms to help us understand how your condition affects you. When you meet your chiropractor for the first time, you will start with a discussion about you, your health and your reasons for asking for chiropractic care. You may bring a friend or family member to accompany you during your consultation if you wish. 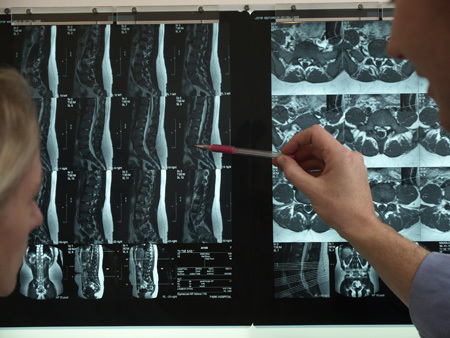 Next, with your consent, we undertake a physical, orthopaedic and neurological examination. We will make you feel comfortable and explain procedures before and during the examination. You might be required to undress to your underwear and we supply ladies with a gown that fastens at the back. After assessment a diagnosis will be given to you. Your chiropractor will then discuss a treatment plan that suits your individual needs and likely outcomes. We welcome any questions you might have and if chiropractic appears not to be suitable for you, you will be referred to your GP or relevant specialist. We can usually commence treatment at your initial appointment, unless you require further investigation (eg. X-Ray or MRI etc) or onward referral. Over the last decade with the aid of science and technology, we are more familiar with the human brain and its function than ever before. The brain requires constant and appropriate sensory stimulation to stay healthy. It can be activated and stimulated in specific ways to produce long-term changes through a process known as neuroplasticity. This is a natural process that occurs during the learning of a new skill, but can also be harnessed to aid healing. 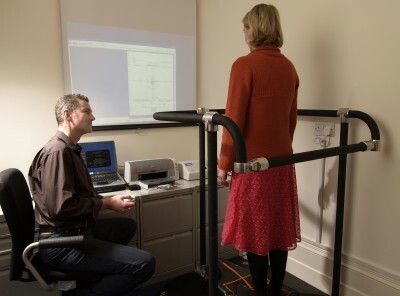 We help patients recover the ability of physical actions with many strategies including balance retraining, interactive computer-based co-ordination repatterning, gait training, visual and eye movement training. We will suggest strategies that help with your activities of daily living. At Neuroworks we will assess your neurological function/status with a traditional neurological/physical examination and, if required, specialised tests such as described below. 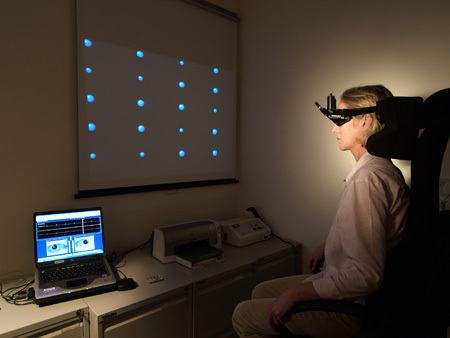 Computerized Dynamic Posturography (CDP) tests the subjects balance control and postural stability, identifying impairments of the visual, somatosensory and vestibular systems. CDP consists of a balance platform that you stand on and is connected to a computer to process information. We ask you to close your eyes for 30 seconds while the computer analyses you balancing ability. CDP is an extremely accurate device that tells us your likelihood of falling, which way you sway and where your centre of balance is. We also use the machine to monitor your progress as treatment proceeds. We correlate your results with other people of your age and height and generate a report, which guides treatment of your condition. Videonystagmography (VNG) evaluates the movements of the eyes as they follow a moving target or as the head is positioned in different directions in order to locate impairments in the vestibular system and the associated vestibulo-ocular reflex. During the tests, the patient wears a set of infrared goggles that record eye movements as the eyes follow moving visual targets. VNG testing is considered the gold standard for testing vestibular function, because it tracks eye movements directly, rather than measuring based on the muscles surrounding the eyes, as other testing does. If we suspect a middle ear condition we may also use air caloric testing. In this test warm or cool air is blown into your ear while we observe eye movements using the Video Nystagmography device (VNG). In individuals who feel dizzy while moving, and also ball-sports people who need to focus on a moving object we may use the VORTEQ. This is an extremely sensitive and ultra-light movement sensor that fits onto the VNG goggles. We will ask you to move your head at varying speeds while you focus on a cursor. The computer will then calculate whether your eye movements are correct for the amount of head movement. A saccade is a quick eye movement from one target to another. The neural structures that control saccades comprise nearly every level of the brain. We measure the speed of your saccades as it involves the brain, brainstem, the motor neurons and the eye muscles integrity. Saccadic velocity is a most sensitive indicator of even slight disturbances within the neuromuscular system and is one of the very first signs of nearly every neuromuscular pathology right at its onset, observable long before the appearance of symptoms in other parts of the neuromuscular system. 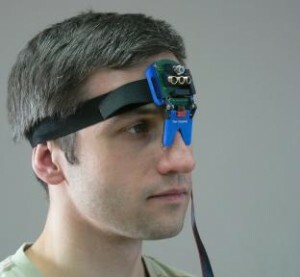 The saccadometer also measures the time delay of eye movements which is at a higher level in the brain. The study of these high-level neural mechanisms by means of reaction time, speed and accuracy both for saccades and other kinds of movement, can provide quantitative information about the functioning of the two hemispheres of the brain. A research based training program that helps adults and children overcome a variety of conditions affecting physical (co-ordination) and cognitive (attention and memory) limitations. The IM affects timing in the brain (temporal processing). The IM uses game-like auditory-visual platform that provides constant feedback in milliseconds about the appropriateness of your arm and leg movements during different exercises which we customise to help your condition. It is believed to improve the ‘brain clock’ and by using different brain regions in a synchronised manner resulting in more efficient brain connectivity, communication and synchronization. Research and theory suggest that efficiency is particularly noticed in the fronto-parietal regions most associated with general intellectual functioning, working memory, controlled attention and executive functions.